Generic drug manufacturer Mylan’s extreme price hike for the EpiPen soared to the top of the headlines last week. This product, consisting of an auto-injector devised by the U.S. military, combined with a $1 dose of epinephrine used to save the life of people suffering from a serious allergy attack, costs no more than $20 to manufacture. But since buying the rights to distribute the device, Mylan has raised the price of EpiPens from $57 each in 2007 to over $600 for a two-pack today. Numerous members of Congress have denounced Mylan’s actions and demanded hearings, as has Hillary Clinton. Even Sen. Joe Manchin, a Democrat whose daughter is Mylan’s CEO, said that he shares the concerns of his colleagues about prescription drug price gouging. But the government already has the power to prevent such behavior. They don’t need to pressure Mylan to “fix” the problem itself; they don’t even need to pass a new law. Multiple federal agencies could solve this simply by exhibiting the political will to use their authority to take on the drug companies. First of all, let’s point out that the EpiPen case is not an outlier. Mylan has made a habit of enacting triple-digit price increases on generic drugs in cases where it holds dominant market share. The EpiPen increases were a misfire because of the widespread use of the device: Mylan sold 3.6 million of them last year. In a way it’s more insidious for the company to jack up the price of obscure gallstone medication ursodiol by 542 percent, or gastrointestinal drug metoclopramide by 444 percent. Two U.S. senators don’t have kids that use these drugs, so the price gouging passes unnoticed. Drug companies industry-wide engage in this practice. Jazz Pharmaceuticals raised the price of Xyrem, a narcolepsy drug, by 841 percent in six years; the annual cost is now $65,000 a year. And we know about “pharma bro” Martin Shkreli’s 5,000 percent price hike on AIDS pill Daraprim. None of these drugs are improving; in many cases they are generic compounds that have been on the market for decades. But often, too few patients use these drugs to make it worthwhile for rivals to jump into the market, allowing incumbents to rake in profits. In the case of EpiPens, Mylan got lucky. It planned to raise the price before competitors arrived on the market, a common industry tactic to squeeze the last profits from a monopoly. But one competitor, the Auvi-Q, was recalled from pharmacies last year, and the Food and Drug Administration (FDA) rejected another potential alternative from Teva Pharmaceuticals this spring. Adamis Pharmaceuticals has been rejected twice, and plans to resubmit later this year. These missteps gave Mylan a longer monopoly, and it took full advantage. FDA reviews take time, and there is a particular backlog for approving generic drugs, meaning that there is unlikely to be a rival to EpiPen from another company until 2017 at the earliest. It’s certainly important to test prescription drugs for safety, and claims that the FDA’s approval process is too slow and clunky are actually dangerous and misleading (drug approvals in the U.S. are actually the fastest of any developed country in the world). However, the FDA does have the ability to both maintain its deliberate, evidence-based process and put an end to greedy drug company schemes. But the John Hopkins researchers go further. They suggest that the FDA temporarily allow market competition in two ways during the priority review period. One would be bulk “compounding” of drugs, where a pharmacist supervises the combination of its individual ingredients. This would be perfect for the EpiPen, which is just a delivery mechanism for an already-approved dosage of epinephrine. Second, the FDA could allow the temporary importation of generic drugs approved in other countries while approval is pending for U.S. competitors in concentrated markets. This has been done before, in 2012, to deal with a shortage of cancer drug Doxil. These steps would be consistent with President Obama’s executive order from April to all federal agencies, urging them to use their authority to increase competition. And of course, the Federal Trade Commission and the Department of Justice have a role to play in using the antitrust laws to punish companies like Mylan that exhibit anticompetitive behavior, including fixing prices. There’s even another option, as the L.A. Times’ Michael Hiltzik pointed out last week. The Bayh-Dole Act of 1980 mandates that any drug that benefited from federally funded research and development must be made available on “reasonable terms.” If not, the government can license the product to other drug companies to make it more accessible. While “reasonable terms” has not been historically associated with pricing, and while the government has never actually enforced Bayh-Dole by forcing re-licensing, it has the authority, according to several experts. 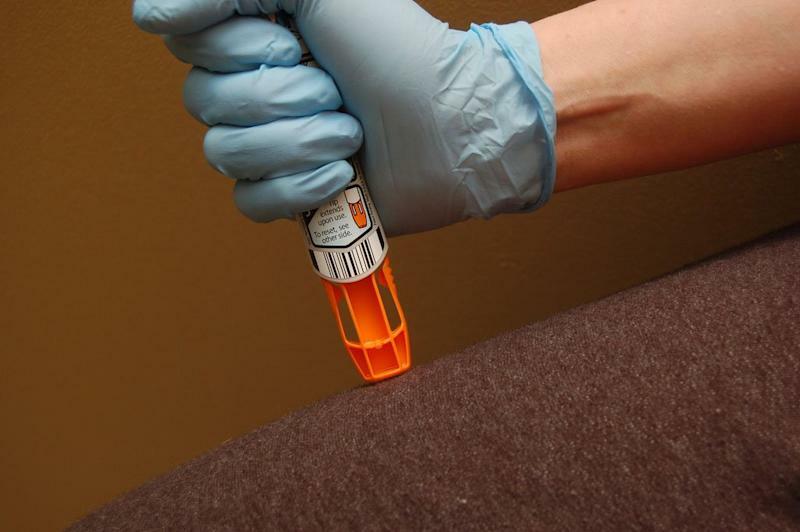 The EpiPen benefited from federal government research through military development of the auto-injector, so Bayh-Dole could potentially be an available remedy. It’s a matter of how far the government is willing to go to bring down drug prices. In the absence of bold steps, we’ll probably get more fake solutions like the ones Mylan is taking. Just yesterday, it agreed to offer a generic alternative to the EpiPen with a list price of $300 per pack, reducing the burden on insurers and employers. However, that’s still about triple the drug’s 2007 price. The average revenue per prescription of both EpiPen and the generic would still be $280. Related: Will Mylan’s $300 Generic EpiPen Packs Quell Pricing Firestorm? Monday’s announcement followed last week’s move by Mylan to distribute “coupons” to reduce some patient’s out-of-pocket cost on EpiPens up to $300. However, patients in government health programs like Medicare or Medicaid cannot use savings cards. And regardless of the coupon, the full price still gets paid by the insurer, meaning the overall cost of health care goes up, something eventually reflected in individual premiums. This isn’t a fix but a public relations maneuver. But expecting pharmaceutical CEOs to give up monopoly profits is like expecting them to give up their fat salaries. The government already has multiple tools to end price gouging. Just by using them a couple times, drug companies will get the message that the party’s over and reconsider the kind of schemes we’ve seen with the EpiPen. The only question is whether Obama, or his successor, will have the fortitude to put patients over profits.